The French Hospital, based in Rochester, Kent is a charitable alms house. It is a long-standing legacy of the Huguenots (persecuted French protestants) that came to England as refugees from the sixteenth century onward. After arriving as refugees many of these people prospered greatly in Britain and created this charitable legacy for later generations. 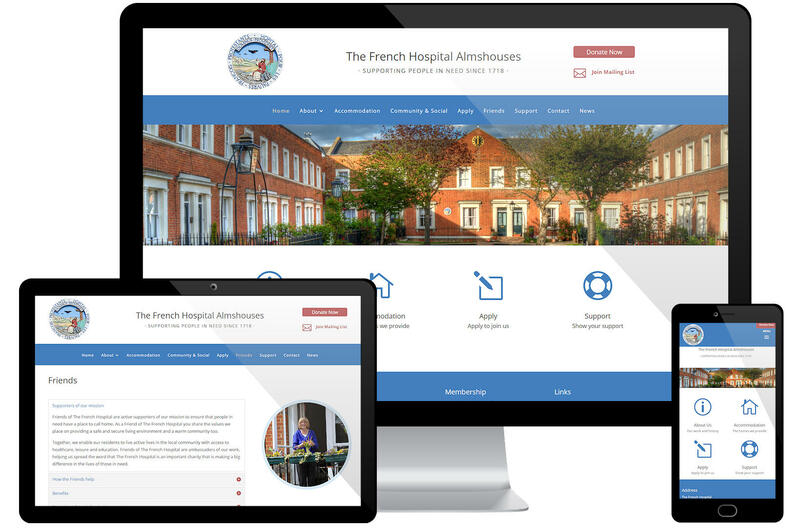 The French Hospital website needed to show the alms houses from the start, which it does by means of a large banner photo on the home page. It also has a news and events section managed by the client.